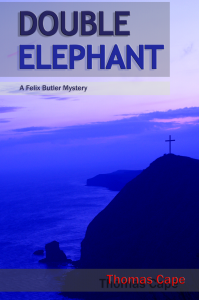 The Amazon Kindle edition of Double Elephant is available for free download from the 15th to the 17th of February 2017. This will be the last free download for sometime (possibly ever!). So if you want to get your mitts on a copy without paying then this could be your last chance! The reason writers give away their work for free is that it is the best way to get noticed, and get reviews. So please do tell people about it and review it!